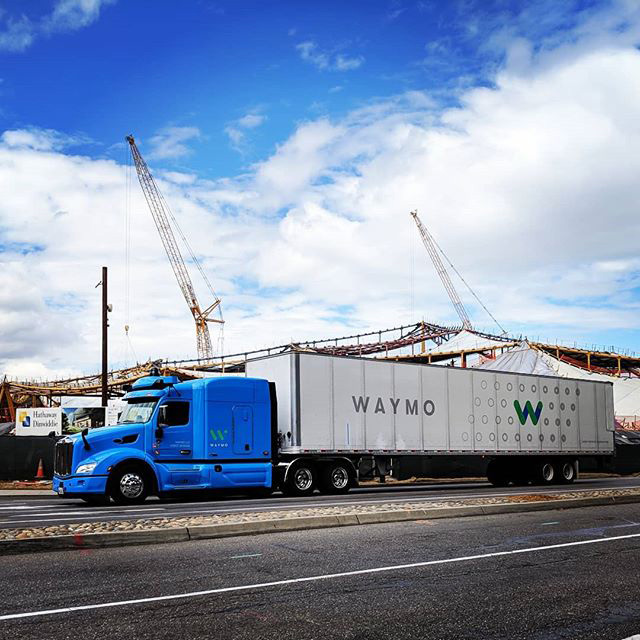 Here is a photo of a truck with the Waymo name and logo on it. Waymo is Google's self driving car initiative. Is this a self driving truck or a truck that delivers Waymo hardware or cars? That is unclear. I spotted the photo on Instagram.